Law is an incredibly diverse profession, and because of this, there is no one particular major that provides a student with a definitive background for its study. While the majors of History, English, Political Science, Philosophy, or Business have traditionally been considered as preparation for law school, it is equally true that any major will lead to success in a law career. The most important first step that any student interested in law can make is to choose a major in which the student excels, which can be any major that interests the student. 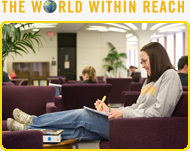 The University at Albany has many excellent majors, all of which are listed here. While there is no particular major that is considered to be "pre-law," there are certain basic requirements for admission to law school: the successful completion of the Bachelor's degree; a competitive undergraduate grade point average; and a competitive score on the Law School Admissions Test. Additionally, many personal factors are considered. Even though there is no single major that predicts a successful career in law, there are certain skills that will be necessary to ensure that success; students should choose their classes wisely to develop those skills. Language skills are of the utmost importance for success in the legal profession, and chief among these skills is writing; students should look for classes that aim to strengthen technical skills such as grammar, and also choose classes which require essay examinations and analytical written work. Oral communication is another important language skill, since those in the legal profession must be able to clearly and effectively convey their meaning through the spoken word; speech classes or those classes that require oral presentations help build oral communication skills. Reading and oral comprehension skills are also crucial, both in law school and in the profession. In addition to the language skills, students should work to develop their critical thinking skills; these skills are the basis of all success in the legal profession. It is because of the importance of these skills that logic and analytical reasoning problems account for three-quarters of the scored portion of the Law School Admissions Test. Courses in foreign languages, English, mathematics and physical sciences, economics, philosophy, are useful in developing quantitative and verbal reasoning skills. Students will also need to have an awareness of people and society, to better understand how individuals and groups function; classes that would be useful for this would be sociology, psychology, history, literature, and philosophy. Students should also develop their general research skills by choosing classes in which a research project is a critical component. Although the grade point average and the LSAT score are important, there are many other factors that law schools consider when making a decision. Campus involvement, community service, internships in the legal field, and an overall commitment to helping others would be very useful to someone interested in law as a profession.